Seeing the Louvre Abu Dhabi in another light: Is it exhibiting loot from Iraq? 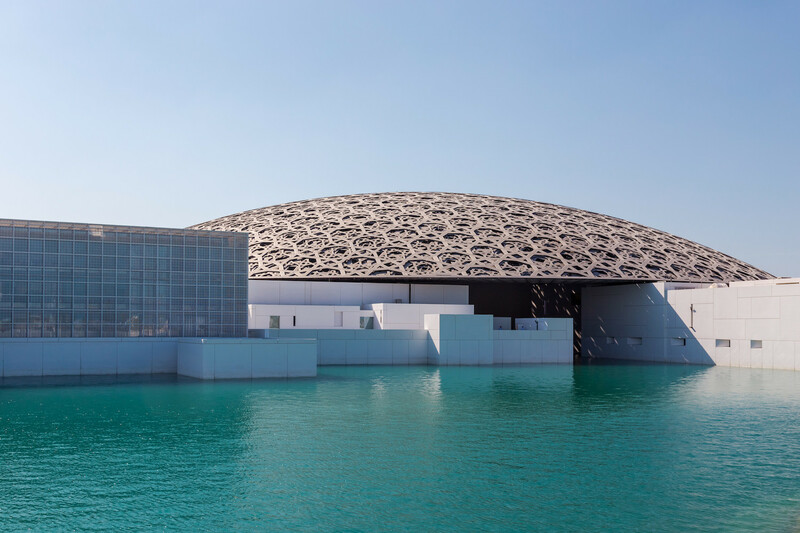 After a decade of preliminaries and construction work that began with an agreement with the French government signed in 2007, the Louvre Abu Dhabi opened its doors to visitors in November 2017. Under the agreement, UAE paid something over a billion US dollars for the right to use the Louvre’s name and to benefit from the French museum’s art loans, special exhibitions, and management advice. The Abu Dhabi institution also spent more than three billion dollars to pay for a collection of more than six hundred works. Shortly after the opening of its splendid home located on Saadiyat (“Happiness”) Island however, questions were raised about precisely how those works were acquired because it seemed that at least some of them might be items which had been looted from Baghdad’s and other museums during the American occupation of Iraq and which were still missing. According to curator Jean-Luc Martinez, the Louvre Abu Dhabi houses a collection of more than six hundred items, nearly three hundred of which are on loan from museums in France and are covered by leases. These works make up a collection that ranges in space from Mesopotamia to China and in time from the ancient world to the modern. Abu Dhabi has emerged as one of the most aggressive buyers in today’s global art markets because the museum’s representatives have access to vast financial resources with which to finance their purchases. This is exactly why those who are familiar with Middle Eastern archaeology began asking questions on social media and elsewhere about how works of Iraqi origin at the Louvre Abu Dhabi were acquired. Not long after the Abu Dhabi museum opened, Iraq’s government announced that a commission was to be set up to investigate allegations about the origins of items in that museum’s collection. According to reports appearing in Arabic-language media, this commission will be looking into how works of Iraqi origin entered the Abu Dhabi collection and, more importantly, how they ended up in the UAE. An Iraqi government official has said that Baghdad is as yet unsure about whether or not any of the items are actually loot. Indeed about all that can be said for certain at the moment is that it may take a long time to prove or disprove the allegations. One other thing that is certain however is how this example highlights the importance of international cooperation and collaboration in the protection of cultural heritage. Putting aside, though only for the briefest moment, the human tragedy that has been unfolding in Iraq over the last two decades, the looting of the Baghdad museum is one of the most serious disasters that the world’s cultural heritage has had to suffer in recent memory. Because precautions were not taken in time, more than fifteen thousand items were stolen from that museum. In fact it’s even thought that some of these items were specifically located and spirited away in response to “orders” that had been placed by prospective buyers. To be sure, some progress has since been made in the direction of recovering this plunder thanks to the efforts of Iraq’s government and of international organisations but the whereabouts of thousands of items are still unknown. A good case in point is the museum’s collection of some five thousand cylinder seals, the fate of which has been shrouded in mystery to this day. Ongoing conflict is now putting the cultural heritage of ancient Mesopotamian civilisations at risk across an even broader region. By now it’s a well-established fact that works looted from ancient sites and stolen from museums in Iraq and Syria are moving through an extensive international network of illicit trafficking. It’s frequently being reported in the international press that oil-rich Gulf countries number among the customers making up the global market for the antiquities and artefacts whose sale is a source of significant income for radical organisations. All of this leads to suspicion in people’s minds about what the Louvre Abu Dhabi is known to have done and to be doing and inevitably it leads to the question: Could such works have been offered to the museum? But that’s not all. Even though there does exist a body of internationally-recognized principles as well as agreements about protecting cultural heritage, every country approaches the issue from the standpoint of its own legal framework and this is one of the things that keeps antiquities looters and dealers in business. Indeed there are those who maintain that by finding buyers for them elsewhere, cultural properties caught up in conflict zones are being better protected than would otherwise be the case. That argument however pays little heed to the fact that this practice strips the works of their provenances and backstories while also wounding local communities’ cultural identities and relationships with their own past. Just how culpable the Louvre Abu Dhabi really is in all of this is still unclear but the fact that the museum’s impressively big-budget opening should be tainted by such a controversy is ought to be rather thought-provoking.